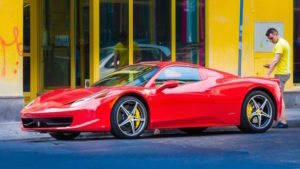 Having a motoring or non-motoring conviction can make it difficult to find car insurance. If you do find an insurer that will cover you, it can often be much more expensive than standard car insurance. In this what you need to know guide, we answer your questions. And we’ve got useful tips to help you find affordable, cheap convicted driver insurance. Can I get car insurance if I have a conviction? Yes. It is possible to get car insurance in almost every case, regardless of your conviction. However, it won’t be as straightforward to find as for non-convicted drivers. You’ll find that price comparison websites won’t be able to help you. And not all insurance companies will be willing to take you on. So you’ll need to know where to look for insurers that are prepared to cover you. Where can I find car insurance if I have a driving conviction? One of the easiest ways to find car insurance is to use an insurance broker, like Park Insurance. A broker will look at your specific circumstances to find you a convicted car insurance policy that meets your situation. It’s free to ask for a quote and you’re under no obligation to proceed. What happens if I’ve been refused cover? Don’t panic if you’ve been refused cover. It is still possible to find car insurance. When you apply for car insurance you will need to be honest and admit that you’ve been refused cover. If you don’t it’s likely that your omission will be discovered and your insurance will be invalidated. What convictions do I need to declare when applying for car insurance? You’ll need to declare any recent conviction for motoring and non-motoring offences. Remember that you only need to declare ‘unspent’ convictions. Criminal convictions can sometimes be ignored after a certain length of time depending on the length of sentence. A custodial sentence of four or more years must always be declared. What happens if I am convicted whilst I hold a car insurance policy? Most insurers ask you to tell them right away if any of your policy details change. That includes telling them about convictions. If you’re not sure, speak to your broker for advice. Who is convicted driver insurance designed for? 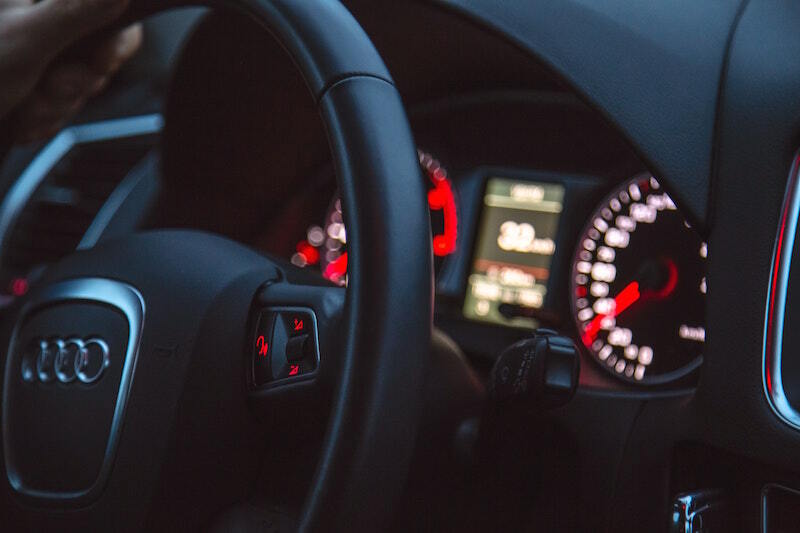 Convicted driver insurance is aimed at anyone with more than six points on their licence or who has been convicted of a motoring or non-motoring criminal offence. Each policy will be tailored to your specific situation, including the type of conviction. What happens if I don’t take out car insurance? Unless your vehicle is SORN it’s an offence not to have a minimum of third-party insurance. 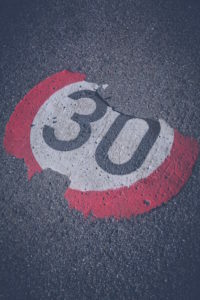 You may be handed a fixed penalty of £300 and have an additional six penalty points added to your driving licence. If your case goes to court you could receive an unlimited fine and be banned from driving. The police also have powers to impound and destroy your vehicle. Unfortunately, any unspent conviction is likely to increase the amount you’ll need to pay for your car insurance. However, there are still ways that you can get costs down to find the best value deal. If you have a conviction, talking your situation through with a real human on the end of the other line can really help. For example, at Park Insurance our expert, Bristol-based team are not here to judge you. We’ll listen to your story. Tell us what has happened and what you’re doing to prevent it from happening again. We’ll then use our industry links to negotiate a great value deal on convicted driver insurance on your behalf. Like all insurance, it pays to shop around. However, that’s not that straightforward if you’ve got a conviction. You won’t be able to use price comparison websites. And you’ll find many high street insurance companies consider you too high a risk, so you’ll be offered highly inflated premiums. Again, shopping around is something that your broker will be able to help you with. Choose an independent broker, like Park Insurance, to be sure that all your options are being considered not just the policies available from one insurance company. If you only drive a limited number of miles each year, consider a restricted mileage policy for lower premiums. Just like standard car insurance, you could save money off your premium for convicted car insurance. Just be sure to accurately calculate the number of miles you are likely to cover. If you go significantly over any limits you’ve set, you’re likely to have your insurance invalidated. Increasing the excess you’ll pay if you do make a claim is another way to reduce the cost of your premium. Be careful to ensure that the amount you select is still affordable for you. You’ll save money if you can pay for your convicted car insurance annually rather than monthly. Most monthly payment policies include an interest payment. You could find yourself paying around 20% more than if you make a single payment. Whatever your conviction or situation, Park insurance can source the best value convicted car insurance. So whether you need your van for work, own a supercar, or just need to insure the family hatchback, we’ll help you get back behind the wheel. Just get in touch and tell us what you need, and we’ll do the rest. For your free, no-obligation and no-hassle quote get in touch with our specialist convicted car insurance team. Call 0117 955 6835 or get a quote today.